More seedlings & a brand new garden bed! 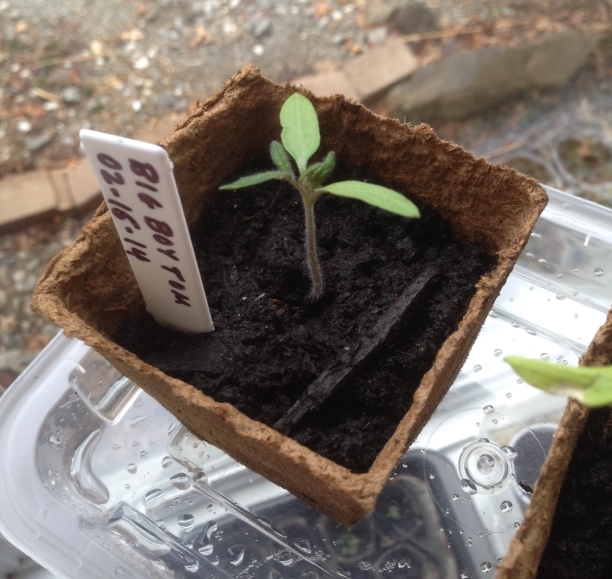 And guess where they will end up – in my brand spanking new raised bed! Expertly constructed by my very talented husband in, oh, 30 minutes this past Sunday, it seemed like. It is the structure in the front. It measures 3′ by 8′. Still needs to be set into the ground. I’m waiting for the next sunny day that also happens to be an off-work day. That is to say, I’ll need to spend the day monitoring the sun to be sure to get the best position to keep the veggies happy. This is one of the few open spots near the house (which is surrounded by trees). I’m pretty sure this spot gets at least 5-6 hours of sun, and hoping for more than that. 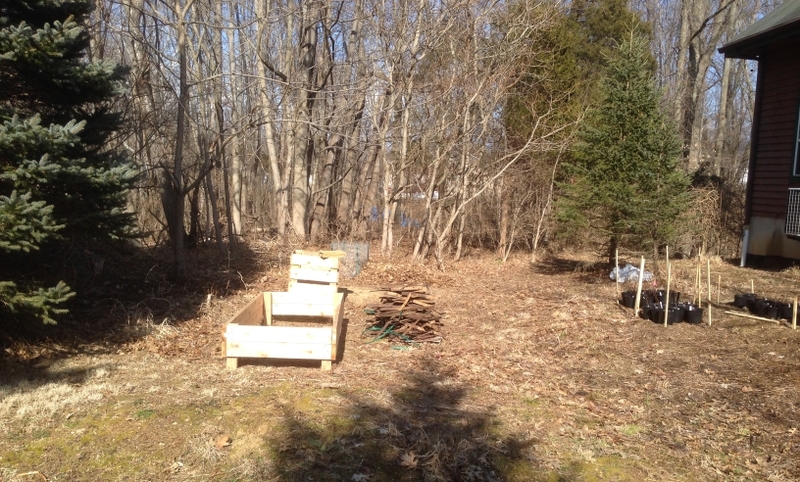 The wooden structure in the back is my compost bin. And beyond that is a leaf bin. The pots to the far right are some of the “shrublings” (hydrangeas, burning bush, forsythia, among others) that I’m growing to sell later this year. Happy growing to my fellow gardeners! Congrats to you and Eric on a great start with your new gardening adventure!